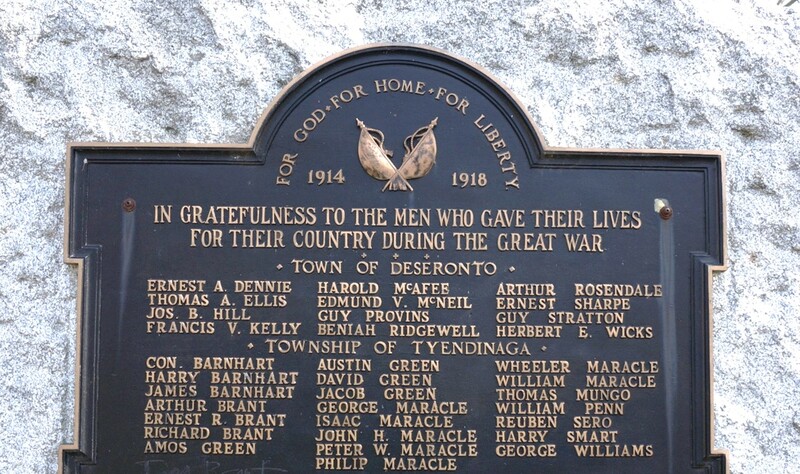 George Mark Maracle (who enlisted under the name Hill) was killed on this day in 1917 in the trenches near Bois de la Ville during the Battle of Vimy Ridge. His body was not recovered. He is remembered on the Vimy memorial and in Deseronto. A letter of condolence was sent to his mother, Annie Maracle, in Point Anne on June 14th, 1917.